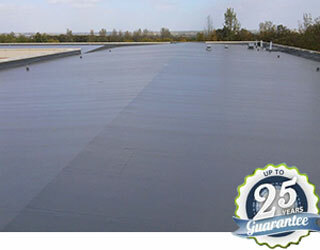 Single ply roofing consists of an impervious membrane formed by laying and joining strong, flexible sheets between 1 and 2 meters wide to create a continuous waterproof barrier across the entire surface of the flat roof. The sheets are joined together by using heat gun to form a watertight weld, they do not require any naked flames or hot melt adhesives on site, which reduces the health and safety risks. The membrane is often retained in place by special mechanical fixings that eliminate the effect of thermal bridging, or adhesives, ballast, depending upon application. It allows clients to choose from a selection of colours and finishes, it can also simulate the appearance of standing seam and lead roll roofs without the weight and expense of aluminium, zinc, copper or lead, and the heavy duty roof structure required to support them. 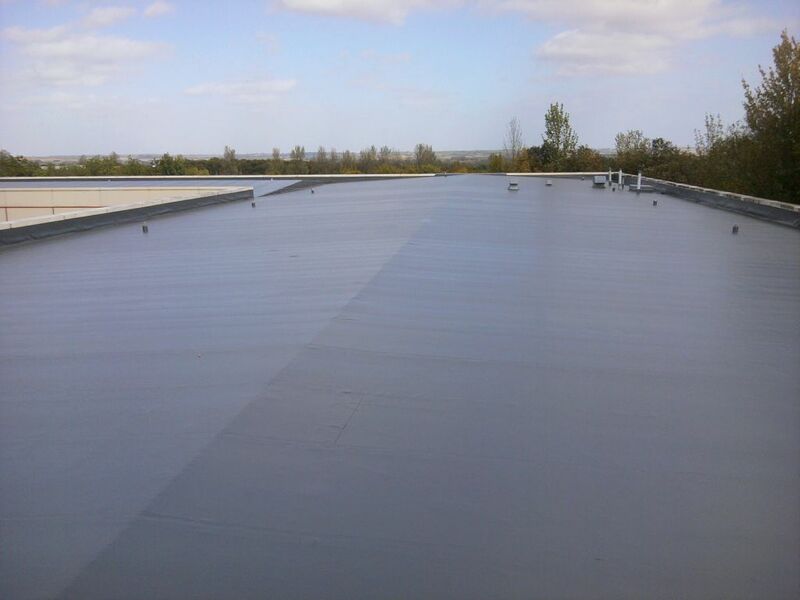 Single Ply Flat Roofing installations do not require post-installation maintenance applications such as paints or re-saturants to keep them in good condition. They are easy to keep clean and maintain, and require minimal attention. Our Single ply flat roof systems are compatible with most Mansafe roof systems which we recommend to be fitted to any roof where access to the roof is needed to maintain to equipment. 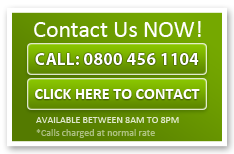 All membranes supplied are covered by product warranty periods, offering clients peace of mind. The British Board of Agrément certificates identify that single ply membranes having life expectancy of 'in excess of 30 years'. Life expectancy `in excess of 30 years'.